We all know that artists can change the world. The Summer Arts & Learning Academy is proof of that. 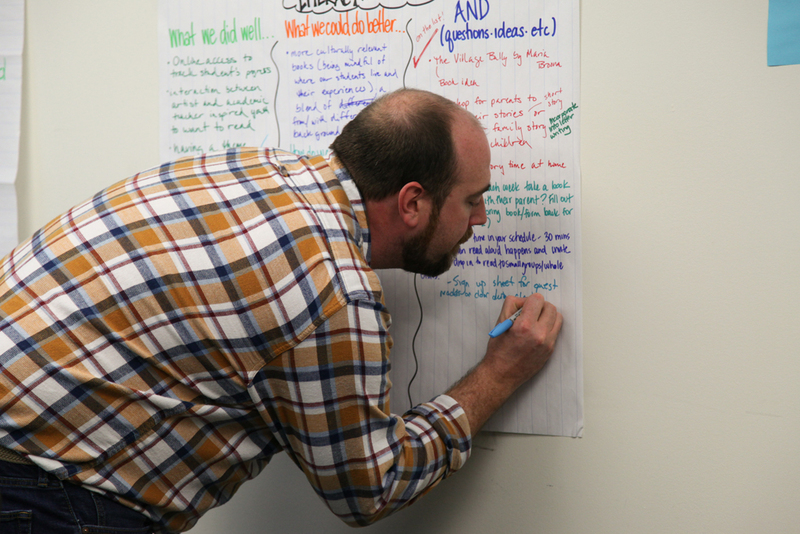 The Teaching Artist Institute (TAI) helps give artists the tools they need to do it. 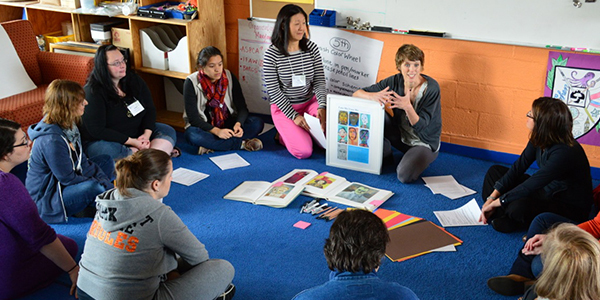 During the course of the programs, artists worked with classroom teachers to design arts-integrated and Common Core-aligned fine arts programs for schools. 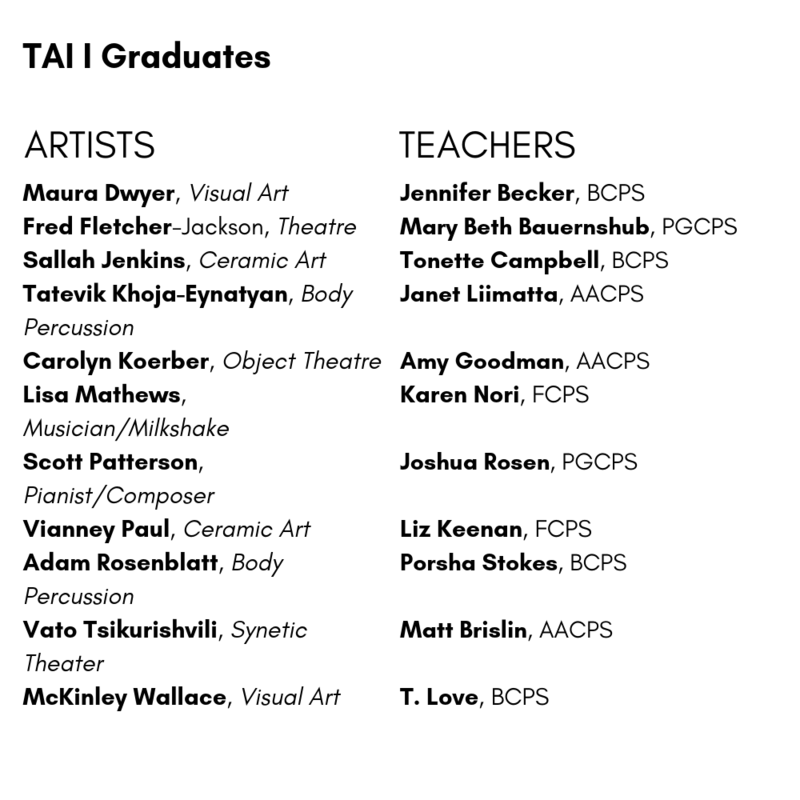 Each TAI team designs and implements an artist-in-residence program in which teachers gain arts skills and artists gain valuable teaching skills. 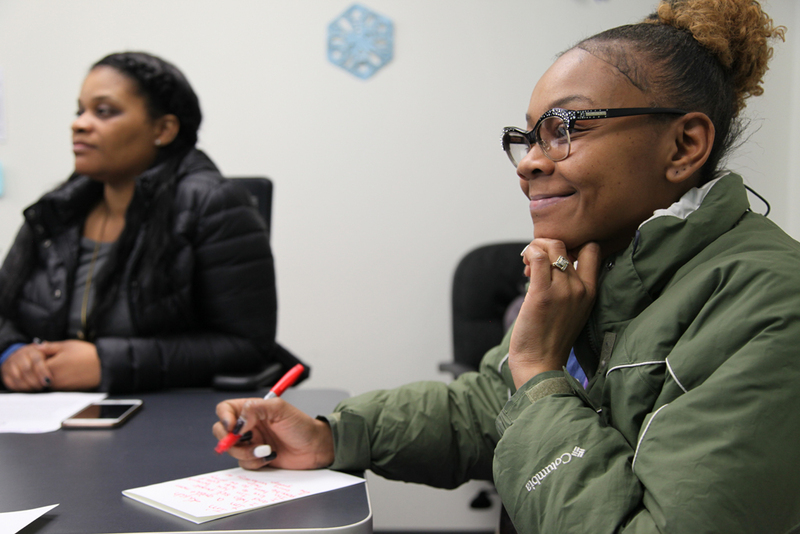 Topics such as classroom management strategies, designing, writing, and teaching artist-in-residence lessons, and educator needs are covered, as well as opportunities for field testing and feedback. Congratulations to the following artists and teacher partners who completed the TAI seminars in May 2017! Next summer we are going to need even more qualified teaching artists to work at our academy. Apply to the Teaching Artist Institute by Friday June 9 to be trained and considered for summer 2018! New artists who successfully complete TAI, graduate from the program, and meet additional requirements, will not only be hired for our summer program, their tuition will be reimbursed! This month, 51 artists and teachers completed their final Reflection Day of the 2013-2014 Teaching Artist Institute (TAI) Seminar. 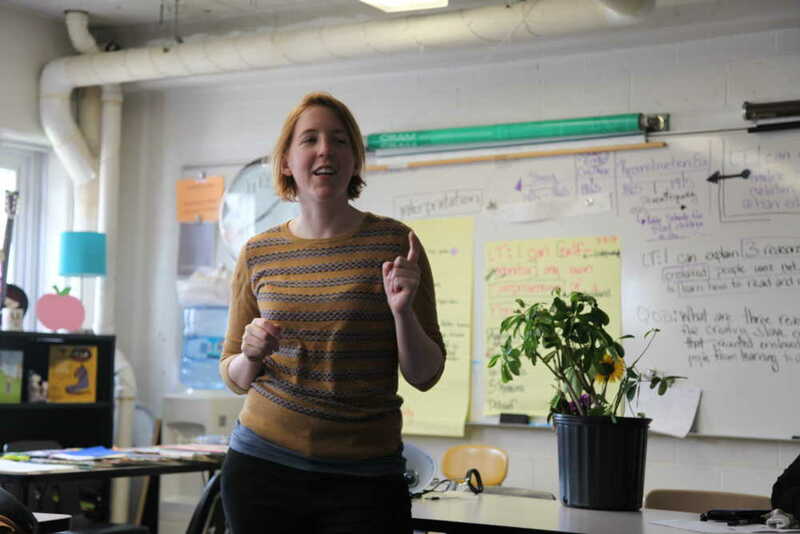 During the past five months, artist and teacher pairs have worked together to create new arts-integrated assembly and residency programs that will engage students in learning through the arts. To celebrate this accomplishment, one Young Audiences staff member shared his thoughts on TAI and what is possible when artists and classroom teachers work together to improve education. 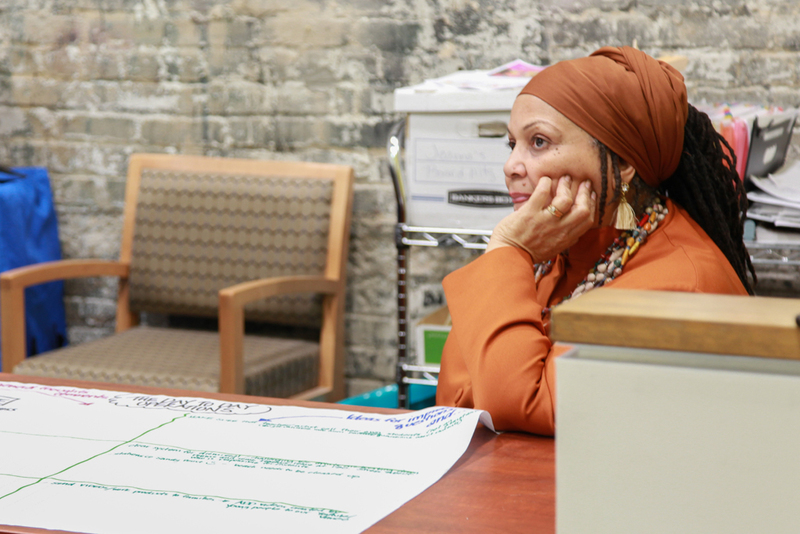 Witnessing collaborations between artists and teachers during the Teaching Artist Institute (TAI) Seminar is like getting a behind-the-scenes look at how artists think and operate. There is a circus of artistic expression in all its forms—music, dance, theatre, and visual art—all with the power to inspire and beguile. During the past five months, carefully-crafted performances and interactive arts activities co-created by participating teachers and teaching artists have become new assembly and artist-in-residence programs for students in Maryland. Each program shows the deep personal commitment of each participant to educating students throughout the state. 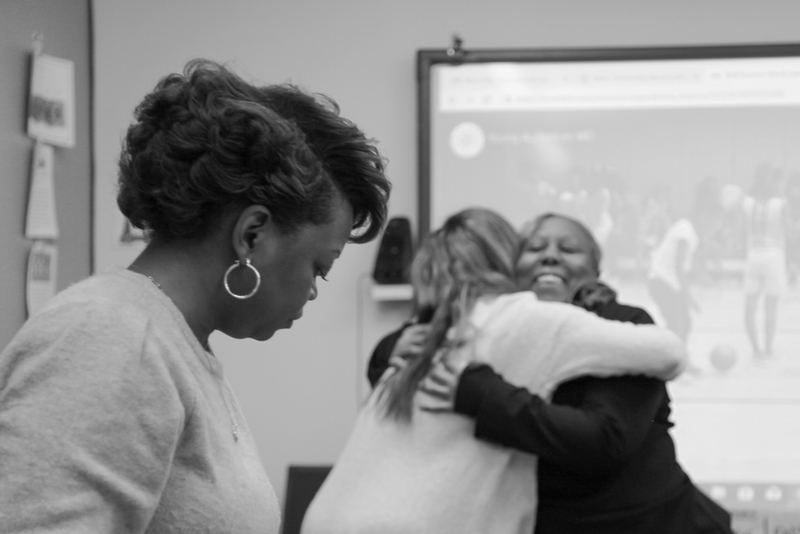 It was just a few short months ago when these artists and teachers from across the region met at City Neighbors High School for the TAI Presentation Workshop. Each artist and classroom teacher partner was present to share their plans for an arts or STEAM (Science, Technology, Engineering, Arts, and Mathematics) program. Different classrooms throughout the building were devoted to different art forms so participants could present their lesson plans to their peers for feedback. Within each room you saw groups of people listening intently as each artist and educator explained their plans and how their approach would help students connect to the curriculum in a new way. In each room hands shot into the air to provide praise, ask questions, and suggest new ideas—all in the name of creating innovative arts-in-education programs that will inspire and excite students. 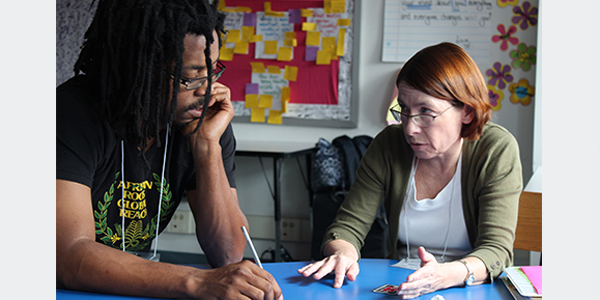 Feedback, given freely between artists and educators, formed a bond that was tangible. Everyone’s focus was on finding ways to address the curriculum through the stimulating lens of the arts. One of my favorite moments was being able to participate in a sample lesson from the residency “Culture Kingdom Time.” Jessica Smith, founder and lead teaching artist of Culture Kingdom Kids, is the Culture Queen who, through interactive song, dance, and movement, highlights historic African American role models for fifth graders. For example, Barbara Hillary, who became the first African American woman to reach both the North and South Pole at the age of 79. Or York, who, with Lewis and Clark, journeyed to unchartered western territories of the U.S. from 1804 to 1806. These stories and others connected with what students were learning in History class and focused on themes of overcoming obstacles–something all students can relate to on a personal level. Throughout her lesson, Jessica’s goal was to show children that they too could be future pioneers by remaining curious and pushing beyond their comfort zones. Young Audiences brings together skilled professional artists and classroom teachers to create programs that combine the knowledge and expertise of both parties. By integrating the arts into the curriculum, teachers are able to engage students with curricular content and artists are able to tap into a student’s true potential. What a great experience it was to take part in! Learn about the next TAI Seminar and how to apply here! 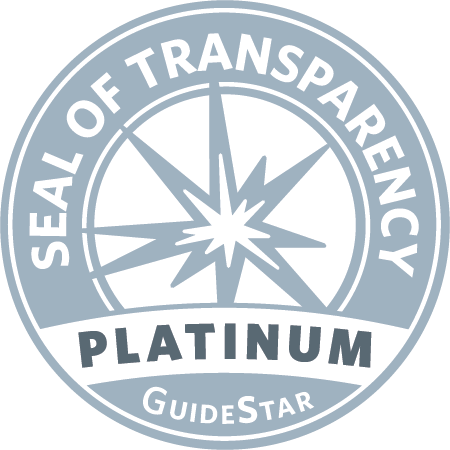 Click here to be added to the TAI listserve and stay up-to-date on future TAI seminars and workshops. 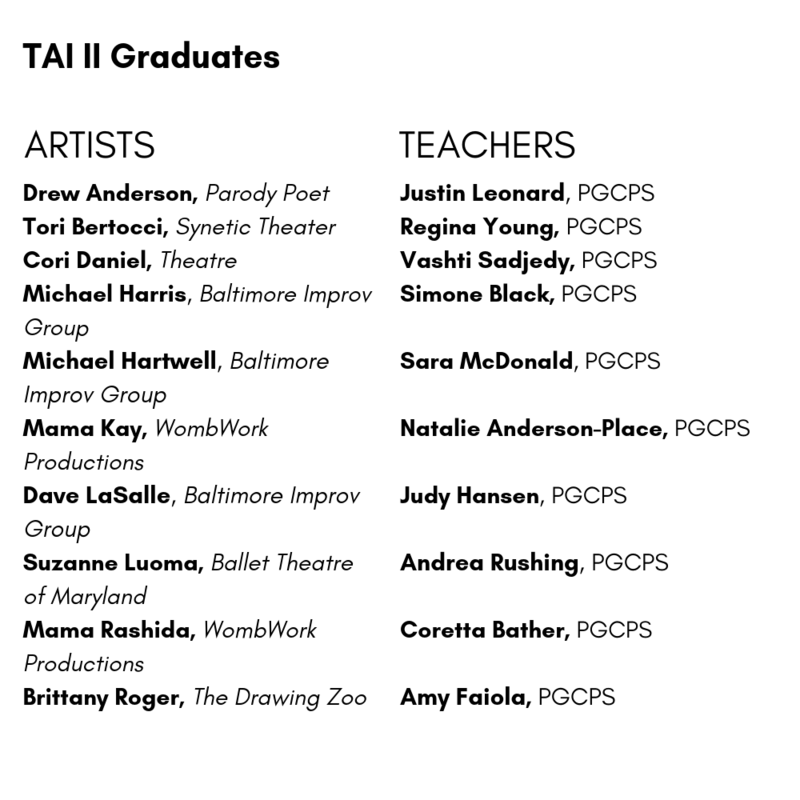 The Teaching Artist Institute (TAI) is made possible in partnership with Young Audiences, Arts Education in Maryland Schools Alliance (AEMS), and the Maryland State Arts Council (MSAC). 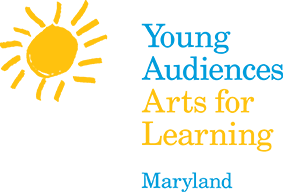 TAI partners and generous sponsors, like the Robert W. Deutsch Foundation, provide funding and support that make this training opportunity accessible to all qualified artists. 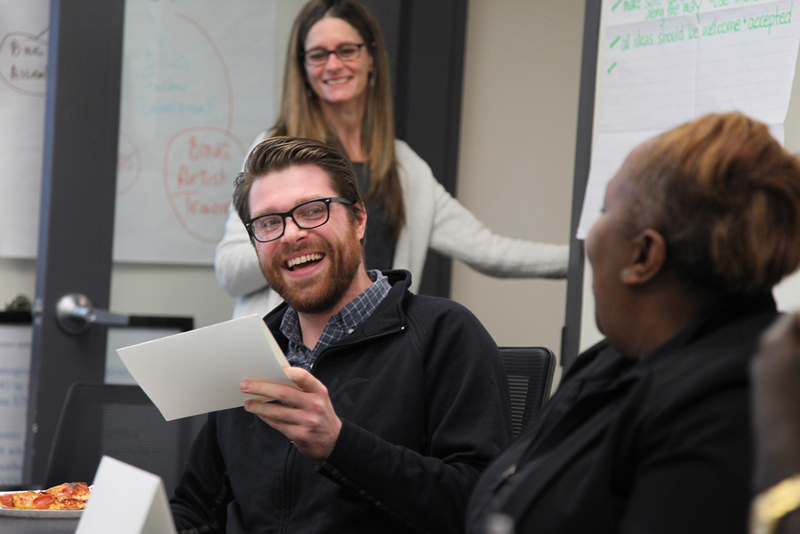 Taylor DeBoer, Communications Manager for the Deutsch Foundation, joined us for the first day of the 2013 TAI Seminar retreat last week and shared his experience on the foundation’s blog. Check it out! See more photos from the TAI Seminar retreat. Learn more about the TAI program. 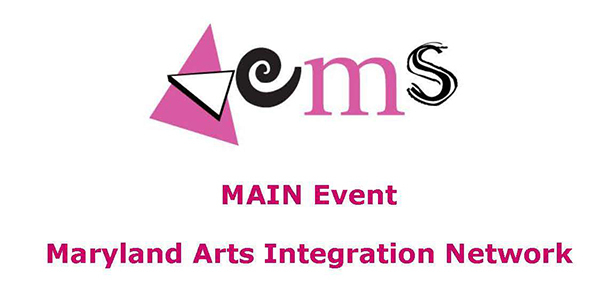 Arts Education in Maryland Schools (AEMS) Alliance is hosting the September Maryland Arts Integration Network (MAIN) event on Friday, September 27, from 9:30 a.m. to noon, at the 149-acre Center for Maryland Agriculture and Farm Park in Baltimore County. The focus of the morning will be on environmental education and the arts. 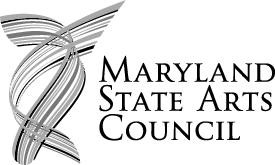 AEMS, the Maryland Association for Environmental and Outdoor Education (MAEOE), and Young Audiences are partnering to offer this program. The program will include strategies for integrating fine arts and environmental content, a networking session, and an opportunity to tour the facility and the park. The networking discussion will be crafted to address the interests of arts and arts integration educators and science/environmental educators. A $10 donation will be asked for all MAIN Events. These monies will go to the host venue for light breakfast fare and any remaining monies will be donated to the host site to support programs in arts education. To request a registration form, please contact Alexa Milroy at: amilroy@aems-edu.org.